Admit it: You’ve been so caught up in planning every last detail of your wedding day that you honestly haven’t given a single thought to the other, pretty important event that usually takes place the night before… your rehearsal dinner. And maybe you don’t need to, as Brooke Dadona, the Sales and Marketing Manager of local favorite eatery, Eleven Forty Nine (aka 1149), points out: tradition dictates that the rehearsal dinner is typically hosted by the parents of the groom. “However,” Dadona adds, “since wedding planning often involves many financial contributions, the dinner can be hosted by anyone willing to assist.” Plus, it is 2016, where families and gender norms have broadened considerably, meaning sometimes tradition just doesn’t come in to play. But regardless of if the host is the groom’s parents, an altruistic friend of the couple, or the soon-to-be-newlyweds themselves, they should be aware that planning a rehearsal dinner isn’t quite the same as making a large reservation at your favorite restaurant. Much like the wedding venue scouting process, the host might want to schedule a consultation with the prospective rehearsal dinner space first. Not sure what kind of questions you should be asking or what type of answers you should be looking for during said consultation? No worries, Engaged was more than happy to do the asking and 1149 was more than happy to do the answering. How far in advance should I make my reservations? What’s the difference between making a normal reservation and a rehearsal dinner reservation with you? 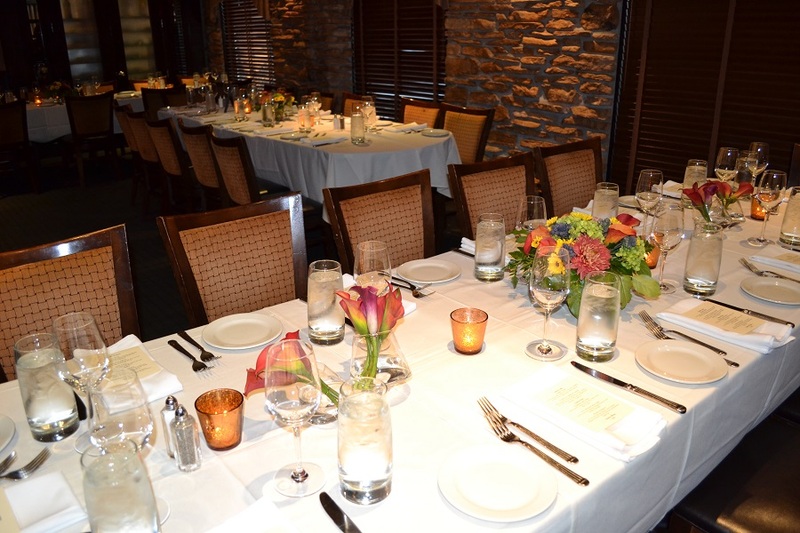 We recommend booking your rehearsal dinner soon after you book your wedding date. 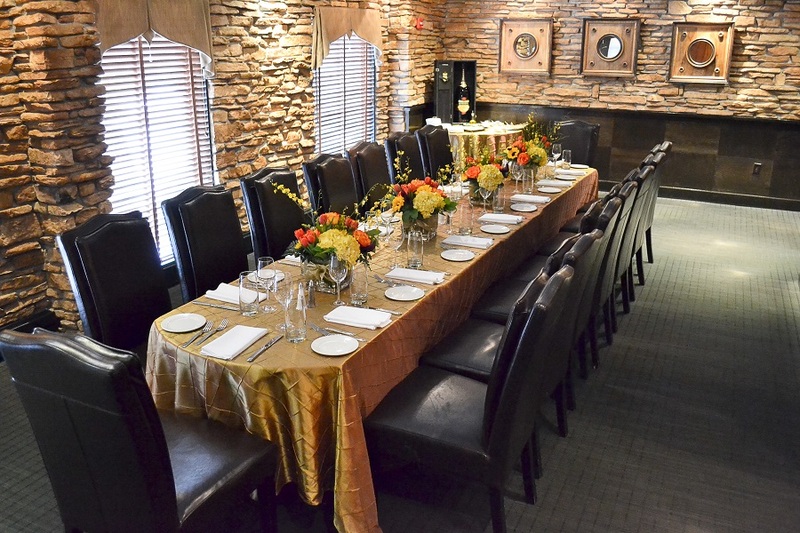 Booking a rehearsal dinner with 1149, allows you to have your own private space, along with a set-menu of either a buffet or plated meal for your guests. Traditionally the parents of the bride and groom attend, along with members of the wedding party, and their significant others/date. Many people also choose to invite out of town guests and grandparents as well. Do I need to send out rehearsal dinner invites, too? When should I send those out? We do recommend sending out invitations — you would want to send these out separately from the wedding invitation, but soon after. The rehearsal dinner invitation should include details about the actual rehearsal, followed by information about the rehearsal dinner location, and directions if needed. Is it okay if my guest count changes down the line? Yes, you can certainly change your guest count. The guest count is due 10 days prior to your rehearsal dinner. What time do I schedule the dinner for? The dinner would get scheduled after your actual rehearsal, typically you would allow at least 30 minutes from the end of your rehearsal to allow for travel time. What do people typically serve? Which of your menu items have been the most popular? We generally recommend selecting items opposite of what is being served at the wedding reception. Often times guests will select a buffet option, to keep the dinner with a more social atmosphere. Other popular options are pasta and carving stations, and signature drinks such as seasonal sangria or customized drink pitchers. Should my rehearsal dinner have a theme? If so does it have to be the same as the wedding? Having a theme is definitely a preference of the bride and groom. It can be fun to have a theme that is a common interest of the bride and groom. Some great themes are sports related, beach themes, casino themes, etc. You can also customize a menu to have a food theme, such as “Italian”, “Asian” or “BBQ”. While these items are not directly on our menu, we love the opportunity to have fun with food for a special rehearsal dinner. In terms of décor, do you / can you provide it or do the hosts usually bring in their own? 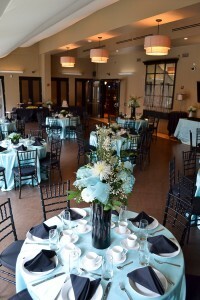 We provide standard linens, and can assist with décor such as customized table linens and centerpieces. The hosts are more than welcome to provide their own décor. I saw that 1149’s Warwick location has a couple of different dining rooms – which would you recommend? 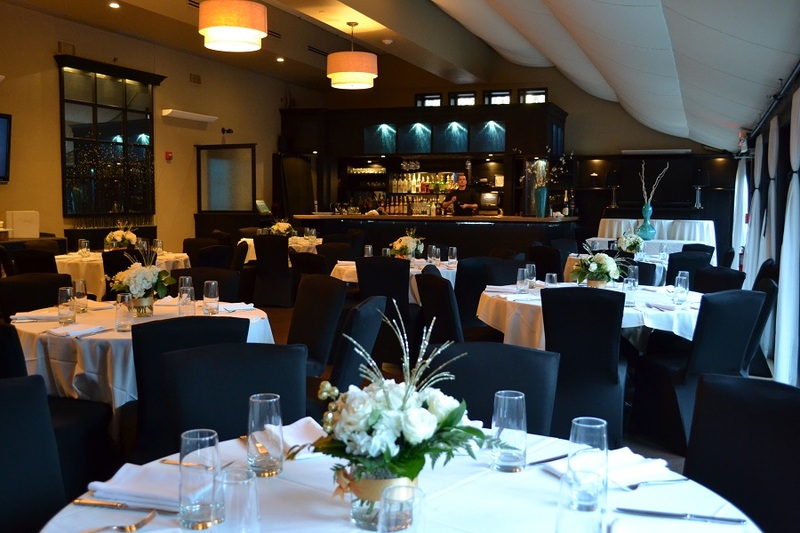 We do offer three different dining rooms; all of the spaces work great for a rehearsal dinner, but the room size does correlate to the number of guests that you are typically planning to invite. Our Terrace Room is the most popular space as it is the largest and accommodates 40-100 guests. It also features a private bar and French doors that open up to a private patio with a fireplace, which is ideal for any season. Can I have entertainment (i.e. music, slideshows, etc.) at your facilities? Yes, you can certainly provide your own entertainment. We do offer piped in music, and also can rent out a screen and projector. The Terrace Room does have a TV which can play a DVD slideshow. Do you have any “Do’s and Don’ts” when it comes to rehearsal dinner planning / etiquette? We do recommend the bride and groom focus on spending time socializing with those special family and friends who have supported them throughout the planning process. (Editor’s note: Get the time in while you can! You might not have as much of an opportunity for uninterrupted time with this group on your wedding day). We do recommend scheduling a time that is convenient for any guests who might have to work or travel. We do recommend providing small gifts for the bridesmaids and groomsman, along with any other important members of the wedding if the budget allows, and handing them out during the dinner. 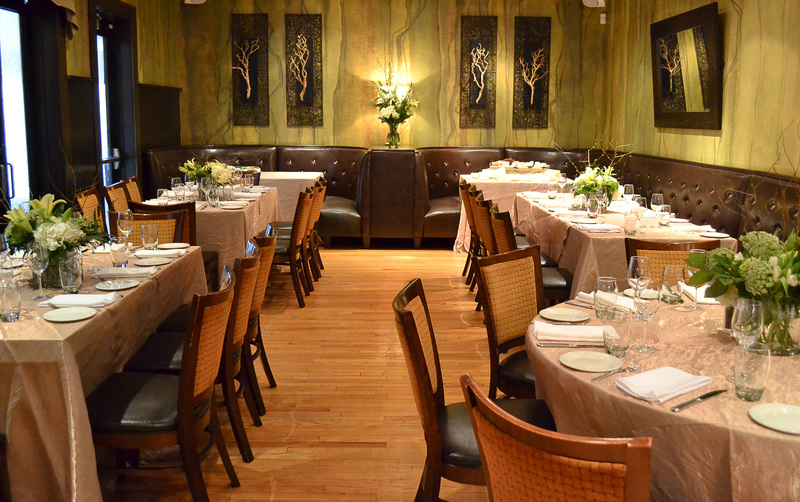 We do not recommend planning a rehearsal dinner venue that is far away from the actual rehearsal site. We do not recommend having your rehearsal dinner go past 10:00 p.m. You want to ensure that all of your bridal party and family members have plenty of time to rest for the wedding. 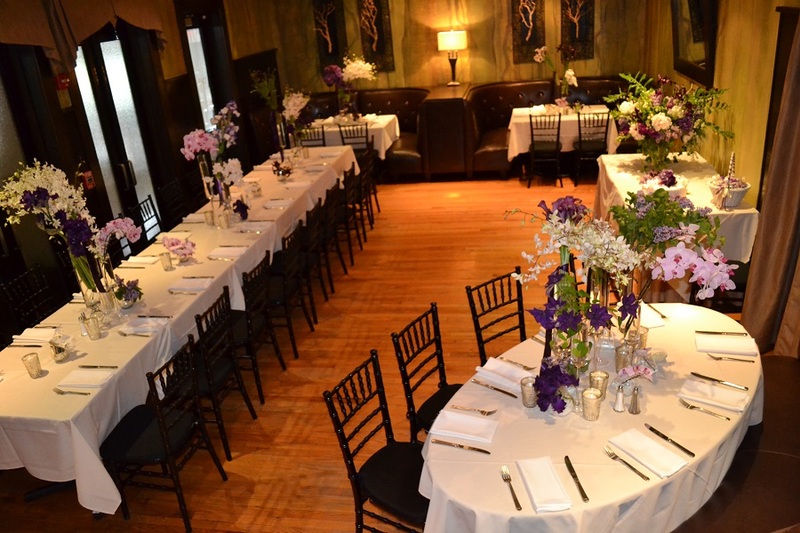 We do not recommend planning a rehearsal dinner that is out of your budget. Plan an enjoyable evening that is affordable for those planning the dinner.